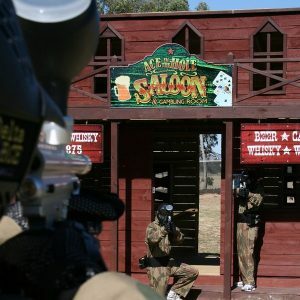 With the 2010 grand opening of the Delta Force Appin paintball sydney centre, located in south-west Sydney, the paintball scene in Sydney has changed forever. Not only had the facilities and equipment improved, but so had the professionalism of the staff and overall customer service for the participants’ day out. Delta Force’s aim when they were first established more than 20 years ago was simple… to offer the customer the ultimate paintball experience. Since then they have grown in size and become the world’s largest operator of paintball games, mainly due to the fact that they offer the customer exactly what they want. With incredible movie-set game zones and impressive equipment to match, a day out at Delta Force is fun for people of all ages. 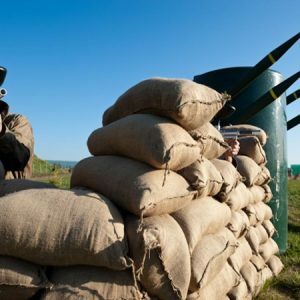 For these reasons, the popularity of paintball at Appin has grown from strength to strength and now every week people from all corners of Sydney (and Australia) travel to this beautiful part of Sydney to enjoy a full day of adrenaline seeking paintball adventures. Delta Force entertains people from all walks of life, from your Average Joe’s to your Weekend Warriors. The best part about it is that you don’t need any previous experience to take part in the sport. 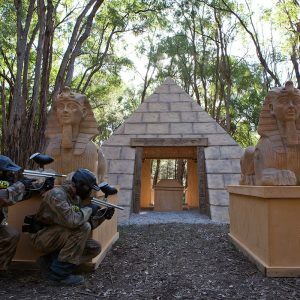 After you fire a few rounds off at the shooting range to get your eye in, you’ll be ready to attempt to capture the ancient idol from the pyramid. But it’s not only the public who Delta Force entertains. The staff at Appin have seen their fair share of celebrities walk through the doors too. From Nathan Hindmarsh and the Parramatta Eels, to Luke Jacobz and the 2010 Master Chef winner Adam Liaw. Whoever you are, you can be rest assured that Delta Force will extend the celebrity treatment to all players. When playing on the best paintball fields in the country it’s only fair you have the best equipment to match. That’s why on your day out at Delta Force you’ll receive state-of-the-art equipment, ensuring you and your team are primed and ready for the paintball missions ahead. All game zones are carefully planned and developed by the highly skilled and experienced Delta Force construction team. They have designed and constructed scenarios all around the world and they know what it takes to provide paintballers with the very best in paintball entertainment. Come and experience for yourself what all of the hype is about. For a great day paintballing on world-class movie-set game zones, and in more comfort and safety than ever before, visit Delta Force Appin. Round up the troops and contact us today on 1300 850 744.